This species is particularly common along the upper sea shore on shingle, walls and rocks. 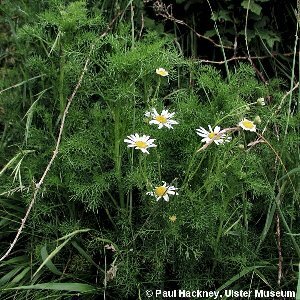 Also abundant as a weed of disturbed or waste ground inland or near the coast. All names: Tripleurospermum maritimum agg. 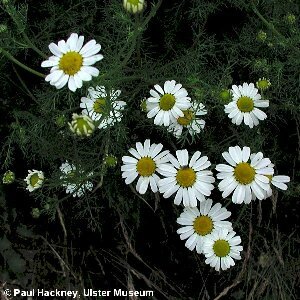 (L.) Koch; Matricaria maritima L.